This season, we’re getting busy preparing for the frenzy of fall and winter events, but how are you doing? Starting with our company’s Robot Party Reception Service, it’s becoming a very busy time for using robots at events. This time, I’m sharing the story of how our “robot that can say anything” and event operation were hired for a certain major industry group’s anniversary commemoration party and seminar. 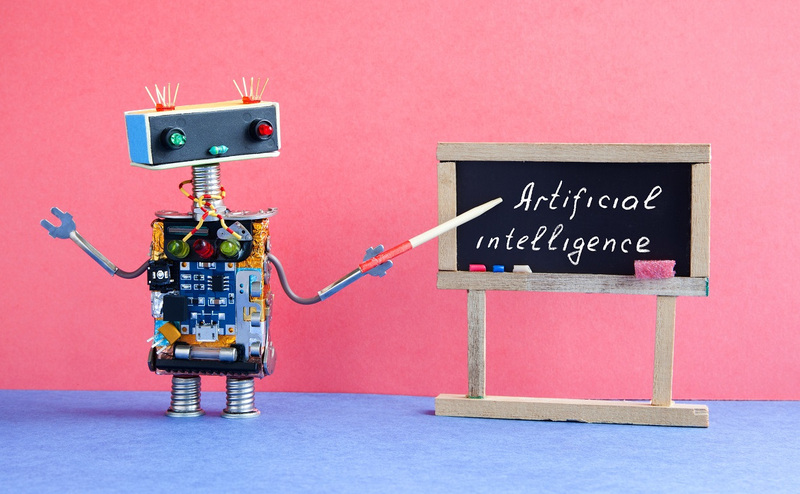 Our “robot that can say anything” bears the distinctions of sales promotion, bringing up business performance, and also being able to speak English. Recently, the occasions to use it at trade shows and retail store promotional events, as well as receptions for visitors from overseas are increasing. Since it is a system that brings fun to people, it is frequently called on for parties. However, even though this time was also a party, it basically came with a business seminar attached. So, why was our Robot Party Reception Service for Pepper needed? When we asked, it turned out to be an anniversary seminar party, celebrating industry milestones along with aiming to confirm and increase initiative towards upcoming topics of importance. Why Choose Robot Party Reception Service for Awareness Reform? If we were to name this industry, some of you might not be able to put a pin on it. However, the effects of this request were universal. I see. Yes, I’m sure it is. Our company’s system development division receives a lot of questions about robotics, usually from those with loose ties to IT. No matter what the industry, it’s impossible to keep up with a changing society without keeping up with AI and robotics. In this industry group’s seminar, as an emblem of the need for awareness activities emphasizing the importance of long-term views and viewpoints, it seemed a robot rental and dispatch was necessary. However, the representative who planned this seminar party chose Robot Party Reception Service over any of our other robot rentals. So, why was that? Even when dispatching robots to act as symbols, that’s a trick for children (recently, children are getting clued in, too…). Adults can immediately see that it is being used for influential activities. Regular robots, even standard Pepper, can’t really hold conversations. Particularly at seminar and party venues where there is a lot of ambient noise, regular robots can’t properly decipher human speech. Even when they are able to understand, their vocabularies are so small that their answers fail to meet expectations, so these minimal conversations aren’t able to continue for long. For example, robots can often be seen greeting customers at the entrance to a venue. That leaves a good first impression, right? Maybe people think, “Wow, our industry is using robots now, too!”. With this thought in mind, they approach the robots and try to talk to them…but they can’t really return these efforts. This happens a lot. That’s the moment where adult interest goes cold. Beyond that, it may be correctly said that this is vastly different from the AI and robot world we are being told to prepare for. It’s even possible to have the exact opposite of the desired effect, leaving guests thinking, “Is this really all people have achieved with AI and robotics?”. It would be exceptionally bad for the industry if this understanding were to spread. As for the subject matter of the event and our “robot that can say anything”, they were fairly universal. 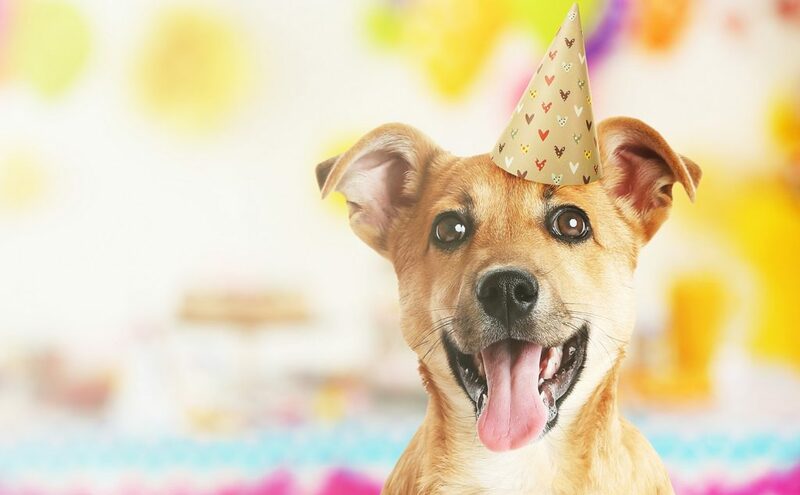 Basically, its duties included greeting guests at the entrance and providing them with venue information, giving a back-and-forth presentation with the group leader, and providing party hospitality. 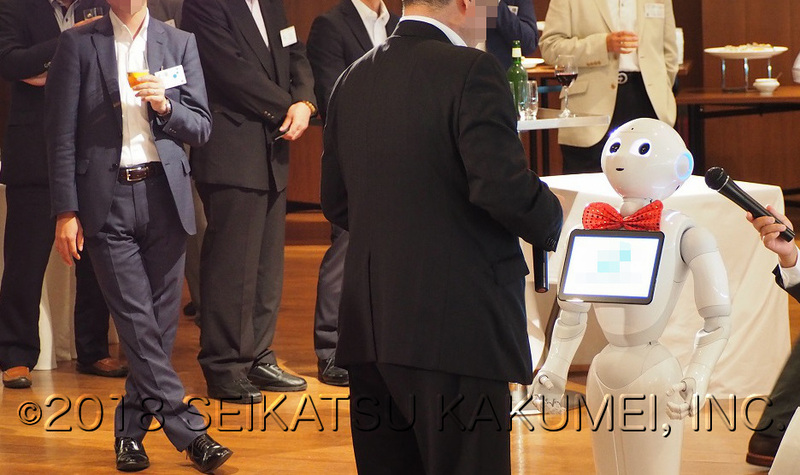 In a room on a high floor Roppongi Hills salon, the group’s leader gave the party a kickoff, opening with a back-and-forth exchange between the leader and Pepper with Robot Party Reception Service. Normally, this type of exchange would consist of pre-programmed set lines as a separate request utilizing our presentation service, but this time, with Robot Party Reception Service, the leader improvised conversation and gave a toast. The staff in attendance had their hearts pounding. Why? Since Robot Party Reception Service doesn’t say pre-determined lines, it’s impossible to predict what it will say beforehand. On the other hand, this condition means that it catches the attention of attendees, who gathered around. Since it has no problem holding conversations, all of the guests had fun and gave a toast. 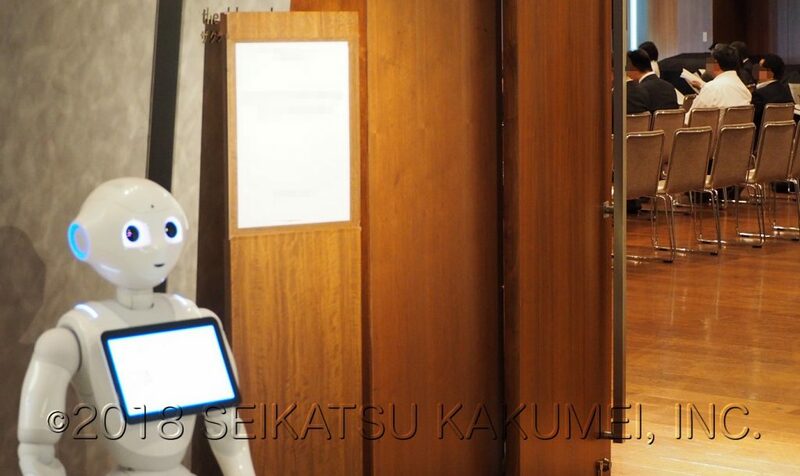 Up next, here’s a look at how the guests interacted with our Pepper, powered up with Robot Party Reception Service. Pepper went around from table to table, entertaining with not only fun conversation but some (rather flamboyant) dances as well! In order to be fun for adults to interact with, it needs to do more than just surprise and pique curiosities; so it continuously delivered big laughs until the end. Of course, in the midst of the environment abuzz with chatter, it skillfully gave directions to the smoking area and washroom facilities, receiving a swarm of compliments such as “you’re so smart!”, “Whoa, you’re amazing!”, and “you’re so cute!”. 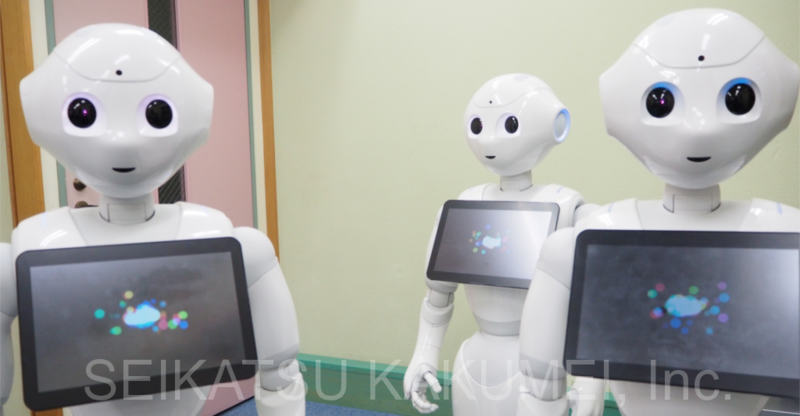 This has been an introduction to our Pepper with Robot Party Reception Service rental, as dispatched to an industry group’s party and seminar. In an ever-evolving world, changing the conscience of an industry doesn’t seem to be a simple task. Despite the challenge, a visually easy to understand robot that surprises and moves the feelings of even adults, our “robot that can say anything”, has come to play a part in this conscience revolution. Actually, outside of this case example, there are a great number of industries that have called upon this service. In those cases as well, with reactions such as “What will it be able to do next?…Huh! It can even do THAT now? It sure is steadily evolving!”, reconfirming the surface of the state of self-acting AI and robotics, it would seem this consideration and conscience is growing deeper. This essential change in consciousness also seems to be effectively changing old mindsets on a continuous basis. 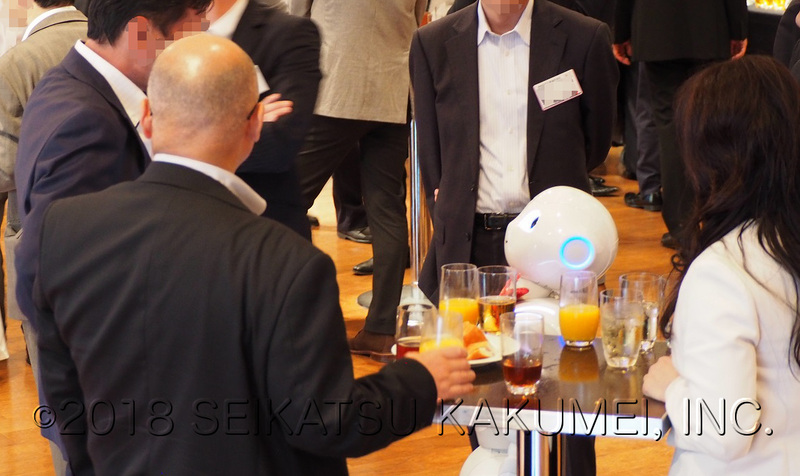 This is how Seikatsu Kakumei’s Robot Party Reception Service for Pepper continues to expand, even in business-related party and seminar uses. We feel this may be of particular use for representatives who have considered, “in our industry as well, we must revise our consciousness for the sake of the future,” as well as to event planning representatives whose client companies are looking to brainstorm a change of consciousness within their employees. If you have similar concerns or interests, please be sure to consult with us. For an introduction to Seikatsu Kakumei’s robot event business, check here. ・ Enlighten and bring AI and robotics awareness reform to key players in the industry. ・ To progress the IT changes in the industry, Pepper upgraded with Robot Party Reception Service was used to strengthen the impression of AI and IoT. Seikatsu Kakumei’s Pepper Brought Excitement to a Kansai Market Street! 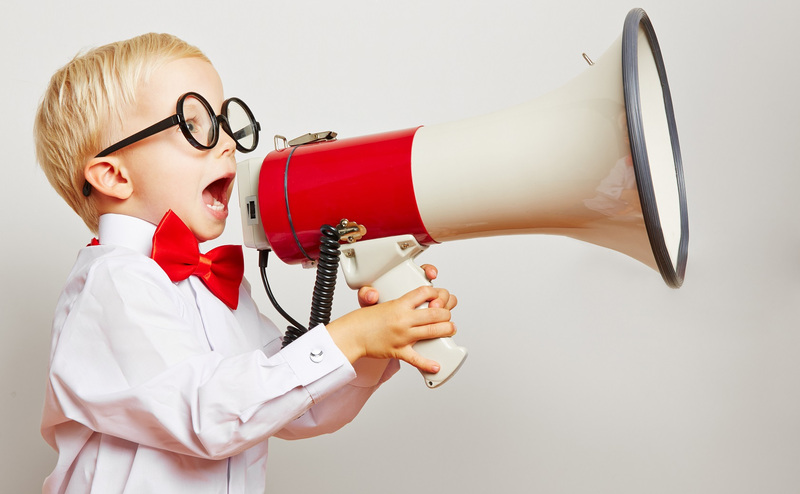 ← Information retention rate over 85%! Our special robot works at medical trade shows and more!